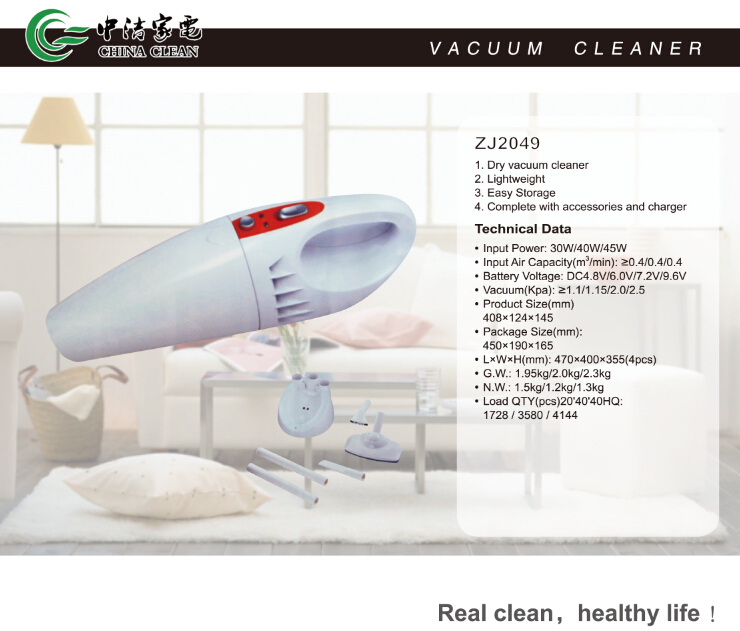 Product categories of Rechargeable Vacuum Cleaner, we are specialized manufacturers from China, Rechargeable Vacuum Cleaner, Rechargeable Car Vacuum Cleaner suppliers/factory, wholesale high-quality products of Cordless Rechargeable Vacuum Cleaner R & D and manufacturing, we have the perfect after-sales service and technical support. Look forward to your cooperation! Rechargeable Vacuum Cleaner is also a Handheld Vacuum Cleaner. 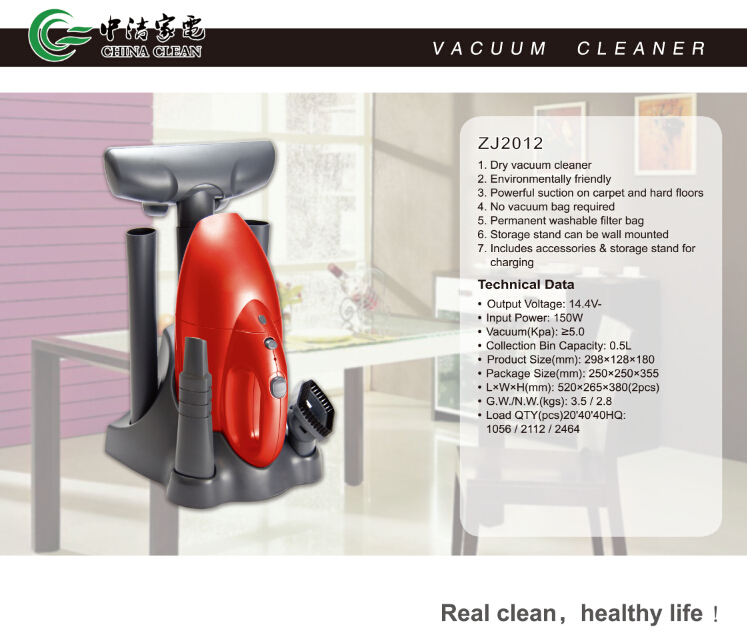 Some rechargeable Vacuum Cleaner has charger base with multifunction,so we can store easier. Although it is basic configuration,it has complete accessories. So you can use in any places. Its basic configuration's battery is NI-CD(1200MAH),but if you want to change,it is allowed. You can change to NI-HI battery or battery pack. If the battery is Replaced,the unit price will change,too. So please consider clearly. 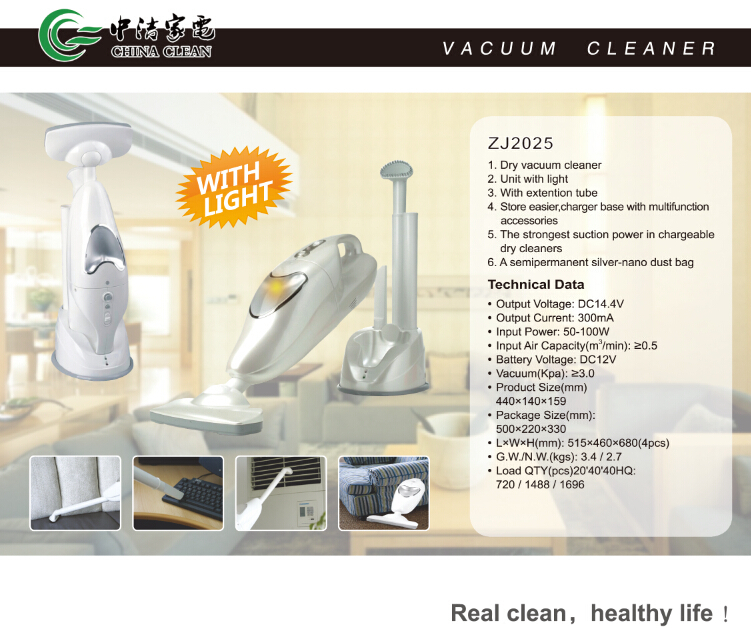 Now I will show you some pictures about rechargeable vacuum cleaner.